At WASEDASAI 2017, which was held on November 4 and 5, 2017, all members of JCulP organized a booth. With every member being an inaugural student and this being the first such challenge for the program, it was a case of trial and error and there were some happenings. 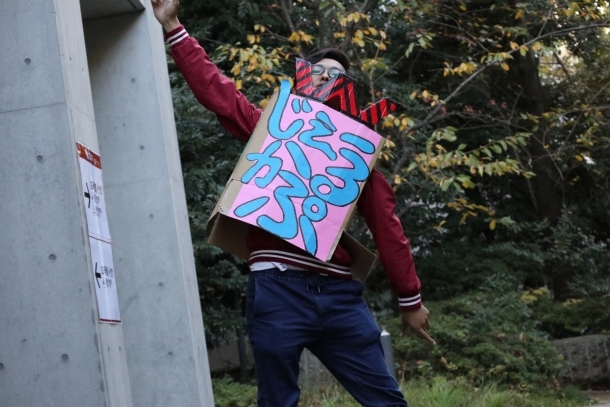 Chikako Hiraoka (second year, JCulP, School of Culture, Media and Society), one of the team leaders, talked about what she gained from staging the booth. 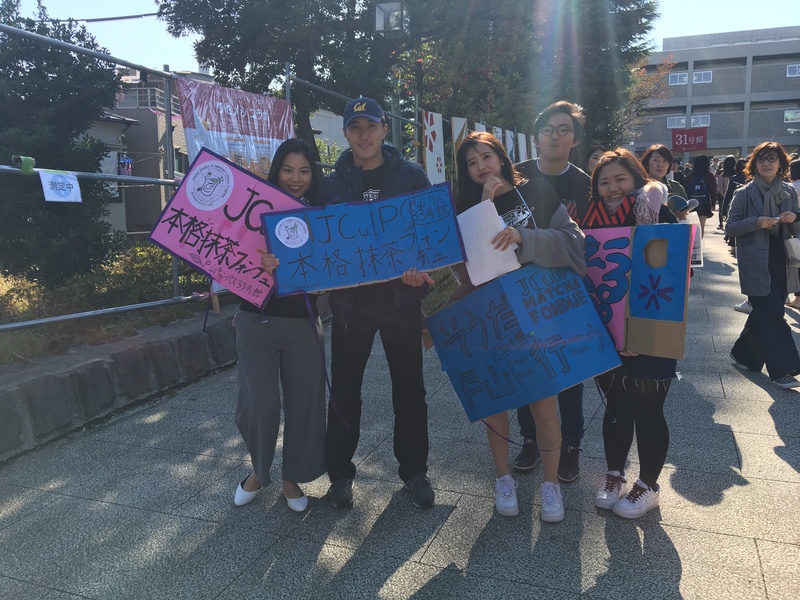 Specific talk about staging a JCulP booth at WASEDASAI started in September, after we had returned from the Summer Session and were about to begin the Fall Quarter. Since groups that participate in WASEDASAI usually conduct preparations during the summer holiday, we were slow to start. September happens to be the time when OS join JCulP, so we called out to them while explaining what WASEDASAI is. Eventually, all the JS and OS took part. 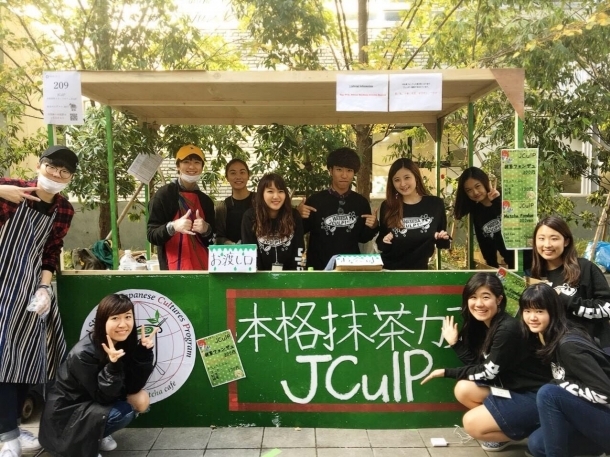 The main objective of staging the booth was to promote wider awareness of JCulP to the people who visited WASEDASAI. With that in mind, we decided to offer a menu that contained elements of Japanese culture typical of JCulP, and we decided by majority vote to make “Mattcha fondue” – a powdered green tea version of chocolate fondue. We hurriedly agreed on the rough recipe and applied to stage the booth, however, little did we know that this would lead to an unexpected situation later on. 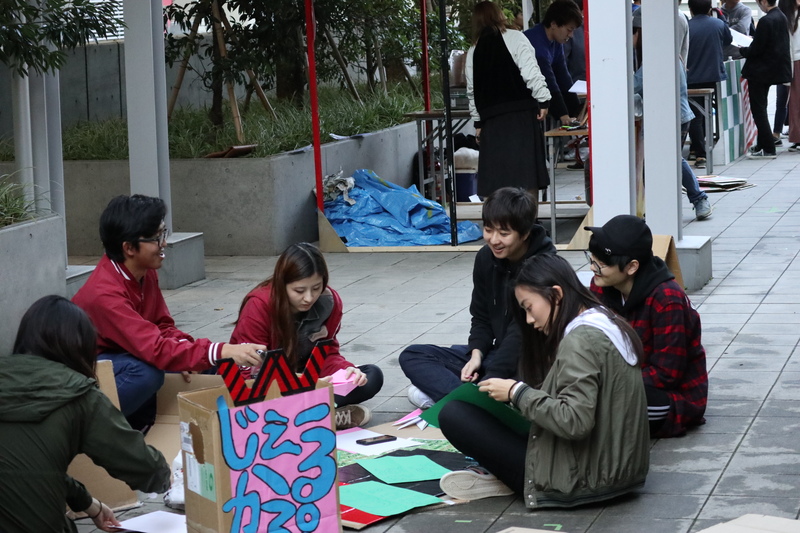 After participation had been decided, the members split into different teams for developing the menu, making the decorations, conducting PR and advancing the other preparations. Come the day of the event, we wore our matching jackets and finally opened the booth. However, this is where we encountered a problem. During the preparation period, we had added new materials to improve the recipe, however, we discovered that we couldn’t use materials that hadn’t been declared when making the application. After somehow getting through the first day, we held an emergency meeting to discuss countermeasures. Here, one of the OS came up with the idea of overcoming the shortage of materials through slightly altering the method of menu presentation. All the members stayed up till late that night working on the proposed idea, and thanks to their efforts, the menu was well received, and we were able to run the booth without incident the next day. Since many high school students with an interest in JCulP visited the booth, we were able to fulfill our prime objective. As the leader of the menu development team, at first, I intended to lead from the front. However, in advancing the preparations, I realized that I was only able to produce limited ideas. The feature of JCulP is that, because it brings together people of diverse backgrounds, plans can be honed and improved through everybody’s sharing of ideas. I learned the importance of advancing work while actively involving all members and encouraging them to enjoy themselves. Through confronting a minor crisis, holding frank discussions and overcoming the problem together, ties were strengthened between the members regardless of whether they were JS or OS. For me, the wonderful thing about JCulP is that each student firmly holds his or her own opinions, but at the same time we have a spirit of harmonizing founded on a common interest in Japanese culture. Through the WASEDASAI, we were able to reaffirm this appeal and strength of the JCulP community.